Used as a gasket, washer, pads, strips and seals. 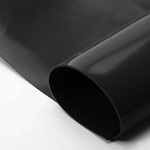 Used as sound deadening in automotive applications. Mask surfaces during powder coating. 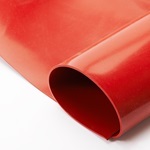 Our Solid Silicone Rubber (SHRS) sheeting product lines are ideal for applications such as gasketing, sound deadening and paint masking during powder coating. Various thicknesses are offered to cover a variety of applications.